(i) McLeod Russel India Limited is recognized as one of the best employers in the tea industry. The Company is a dynamic company and continuously invest in people and technology which contribute towards our growth. (ii) Our People They directly employ around 90,000 people in over 60 locations. The aim is to be a good corporate citizen by using best practices, support local communities, create a true benefit to our stakeholders and provide all our employees with an enjoyable, successful and safe working environment. (iii) Management Trainees Every year they recruit a small, select and gifted team of Management Trainees for their tea estates. They spend time and resources on training the new Trainees who come from all backgrounds. The Board of Directors of the Company at its meeting held on Wednesday, May 30, 2018, unanimously approved a Buyback proposal for purchase by the Company for an aggregate amount not exceeding Rs. 100 Crores for a price not exceeding Rs. 210/- from the shareholders of the Company excluding promoters, promoter group, persons acting in concert, and persons who are in control of the Company, payable in cash from the open market. In this method of share Buyback, the company will be purchasing stocks from existing shareholders of the company directly from the market. 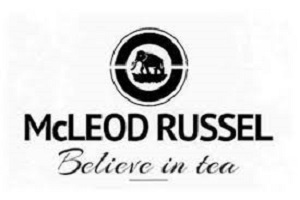 Example: “McLeod Russel India Limited” announces buyback plan of its shares up to value of Rs.210, it means that the company will be purchasing shares of "McLeod Russel India Limited" from the open market at a price not exceeding Rs.210 per share. Scenario 1- If the share price is below Rs. 210, in that case, the company will put buy order at Current Market Price and purchase shares. Scenario 2- If the share price is above Rs. 210, in that case, the company will put buy order at Rs.210 only and if someone is ready to sell at Rs.210 or less then only company will get back shares. Why McLeod Russel India Limited" is doing buyback?? They have decided to hive off some of its tea estates and decided to buyback shares at a price not exceeding Rs 210 per share upto an aggregate outgo of Rs 100 crore. McLeod Russel India Limited Buyback is an Open Market BuyBack In this method of share buyback, the company buys its own stocks from the market. This transaction happens through the company’s brokers. This repurchase program happens for an extended period of time as a large block of shares needs to be bought. The company is under no obligation to conduct the repurchase program after the announcement. The company has the option to cancel it. Also, it can make changes in the repurchase program according to company’s situations and needs. If this method is effectively implemented, it can prove to be very cost effective. Sir i have shares …. It is an open market buyback. The company will buyback shares from the market based on the current price. So it is similar to selling your shares in the open market. sir jii yeah open market buyback hai. isme company usi rate pe share buy karti hai joh rate market main chal raha hota hai. Toh jab aap market main apne share bechoge toh usse koi farak nahin padta ki company kharide ya phir market main koi aur. aapne share kitne price pe liye hai..
Is it open? ?i have pruchased 200 shares of this compony?? It is opened till 29 Dec 2018, but being an open market buyback it will not fetch anything for the investors. Investor zone should check, whether it is an open market purchase or tendering at fix rate. The profit shown is not possible. A standard format is made for all buy back, which is not correct. In this method of share buyback, the company buys its own stocks from the market. This transaction happens through company’s brokers. This repurchase program happens for an extended period of time as a large block of shares needs to be bought. The company is under no obligation to conduct the repurchase program after the announcement. The company has the option to cancel it. Also, it can make changes in the repurchase program according to company’s situations and needs.